Detectives are hunting a thief who stole a bag containing jewellery, including an engagement and wedding ring, from a McDonalds restaurant in St Helens. The crook struck while the victim used the ladies toilets during a trip to the Church Street restaurant on Monday, June 8. Insp David Brennan said: “This bride-to-be has had two precious pieces of jewellery, her engagement and wedding rings, taken which are understandably of great sentimental value. “Unfortunately the rings, which were inside a H. Samuel’s bag, were left inside a toilet in the McDonald’s restaurant in the town centre at around 2pm on Monday. 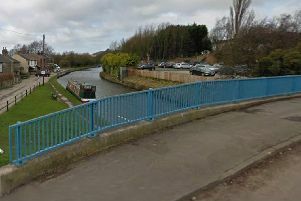 “Someone has found the bag and, instead of handing it in to staff or advising the police of the find, decided to keep it. “At the time the restaurant was very busy and I would urge the person who found the bag or anyone who knows where the items are to do the right thing and report the find to the police or hand the items in to a police station. “I ask members of the public to be on the lookout in case they are offered such items for sale, on the street or in a pawnbrokers.